Marbleocity: Chaos Mountain - Grow Children's Boutique Ltd. Build a model of chaos in action! 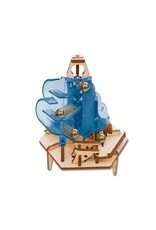 Use the hand crank or attach a motor (sold separately) to watch the marbles lift up, and then roll down again! 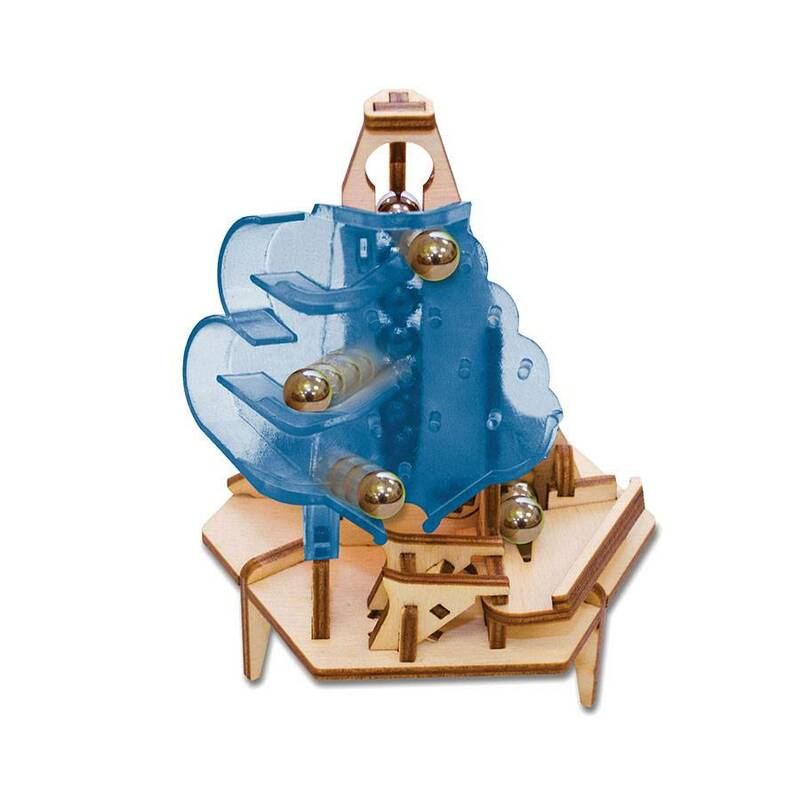 It’s the first Marbleocity marble machine kit to feature colorful plastic accents! Perfect for beginners; one hour build time. Triple Play models can connect to one another for bigger fun! Also works with Marbleocity Motor Kit, sold separately. Tinkineer’s Marbleocity introduces children to engineering principles and physics concepts with dynamic hands-on STEM model kits made of precision-cut wood in the USA. Each kit includes easy-to-follow assembly instructions in a graphic novel that features the Tinkineer characters. The comic introduces a physics concept or engineering mechanism that is the focal point of the model, all in a fun and engaging way! The result is an awesome kinetic sculpture and some new physics and engineering insight! Building requires only household white glue…no special tools! It’s a unique and playful learning experience for beginner and experienced Makers alike!